Where do I manage the PTO for each employee? 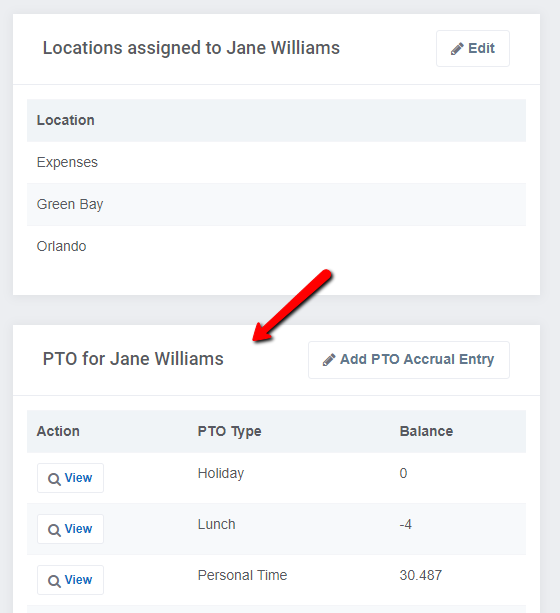 PTO can be seen and managed on an employee profile. Go to Employees --> View. If PTO is enabled (Settings --> PTO to enable it) you will see a PTO section for the employee. You can view PTO types, balances, and transactions. You can also add entries to the employee. If you would like to download the transactions, click on "View" next to the type. You then have downloadable options for PDF & CSV.